In October, we announced new pricing for Amazon AppStream 2.0, extending reduced monthly Microsoft RDS SAL user fees to customers. Today, we are announcing a similar change for Amazon WorkSpaces. Educational institutions can save up to 14% per month on Amazon WorkSpaces by leveraging license discounts from Microsoft for Qualified Education Users. This equates to a $3.52 per user/month savings, and $0.03 per user/hour for WorkSpaces. You can take advantage of this discount if you qualify, based on Microsoft Licensing Terms and Documentation. If you think you may qualify, please contact us so that we can enable the discount for you. There is no upfront investment or financial commitment. Amazon WorkSpaces solves access issues for both K12 and higher education learners. For K12 districts and schools, classroom devices are often shared or students need access at home to complete homework. With WorkSpaces, students can use affordable Chromebooks and tablets, but still utilize tools like Adobe Photoshop, AutoCAD, or other classroom software without installing software on these devices. 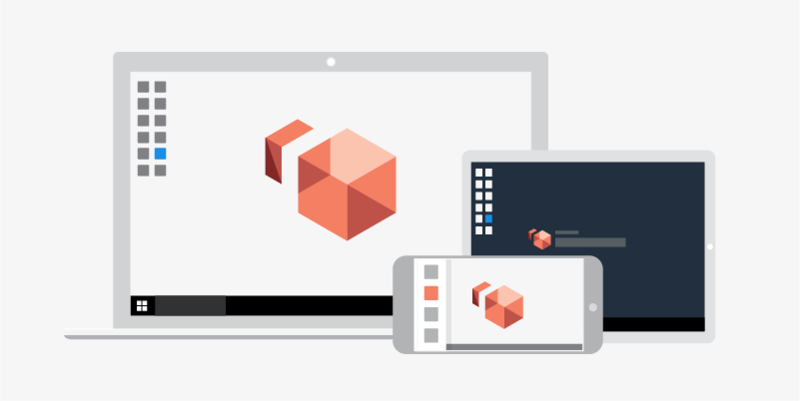 Amazon WorkSpaces is compatible with Mac, Windows, Chrome, iPad, Android, and web clients, leveling the playing field regardless of a student’s device or OS. “Our students [have] access from their iPads, in the classroom, at a reasonable cost… we use every moment of class time to teach, rather than focusing on setting up technology,” said Fraser Speirs, head of IT and Cedars School of Excellence secondary school. Another common use in education is replacing aging computer labs, which require significant space allocation by an institution or school. Computer labs were once the only option to run resource-intensive software, like MATLAB, Mathematica, ANSYS, IntelliJ, and Eclipse. Now, institutions can provide WorkSpaces to students to provide access on their personal computers during class and study time. Lab space can be reallocated, and instructors can make class time more interactive by offering live demonstrations or hands-on activities that replace the lecture. An example virtual computer lab setup with Standard WorkSpaces (2 vCPU, 4 GiB Memory per user), including all Microsoft Windows operating system and client access licensing, starts at $18.94 per user/month with each student utilizing WorkSpaces for an average of ten hours per week. For instructors, administrative staff, and students who use their WorkSpaces more than 20 hours per week, there is a full-time model that starts at $29.44 per user/month. This solution works well for distance learning students, instructors building their classroom exercises, or staff that can access the university network on a temporary basis. These prices are based on the US East (N. Virginia) AWS Region, and can be 35% less than the cost of running and managing an equivalent VDI solution using on-premises infrastructure. See here for the AHEAD TCO study. Get started with Amazon WorkSpaces in your classroom by trying it now using the WorkSpaces Free Tier.